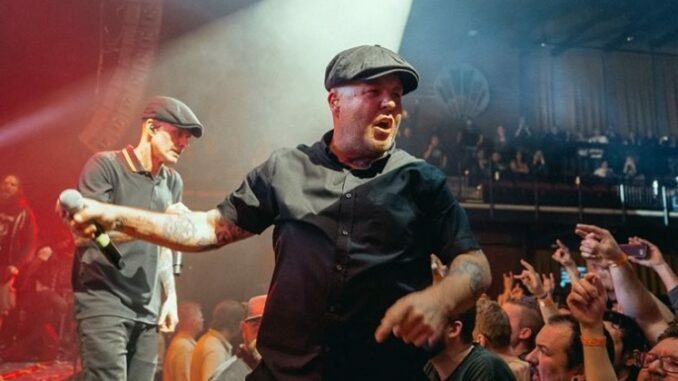 In time for St. Patrick’s Day, Dropkick Murphys are brawling their way into the news, with at least two fights reported, one in NYC’s Terminal 5 and the other reported in Boston. Dropkick Murphys are one of the East Coast punk scenes favorite bands. Together with Rancid and other notorious rabble rousers, the bands draw fans across the country. In Boston, Ken Casey got into a bloody brawl with a fan who wouldn’t give the mic back. The band plays tonight and tomorrow night in Boston. In April the Dropkick Murphys go on tour in Europe, starting out — where else? — in Ireland.